A haiku for you from Cape Ann MA. It seems like you have the same weather conditions as we have here in the Netherlands... the weather may be grey and moody, you sure made a wonderful photo and bright haiku with it, and make me look out of my windown with different eyes. Thank you! Love from Holland! A good haiku and moody shot. When heart and sky align with the light, then all is well. So glad to be here Carol! 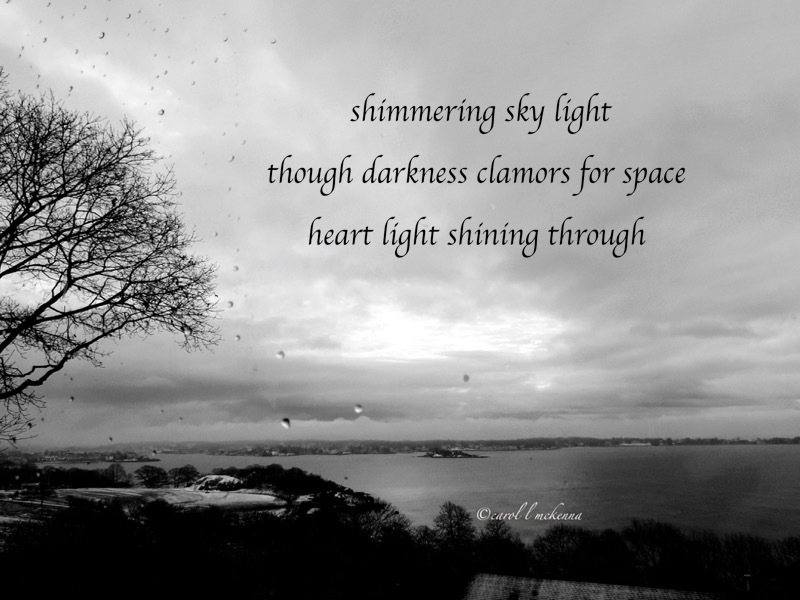 And I so appreciate your heart-light shining through your haiku, this amazing photo and your sweet being! Your heart light shines through this haiku Carol. Perfect photo to go with the haiku, or is it the other way around? Have a great weekend. Even at night, there are the stars. Light always wins.